Yes it is a given that the wedding dress plays a huge factor in the bride’s overall look but coming in a close second is her choice of jewellery as this can either make or break a look. Whilst there is a whole treasure trove of choice, one of the most popular of all jewels are still pearls. 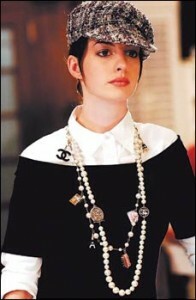 Pearls have retained their status as the go-to wedding jewel as they have a perennial elegance that never looks dated. 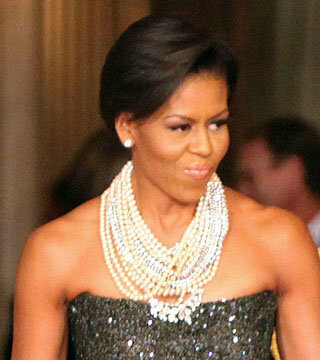 Pearls can be worn with modern dresses or more traditional designs. These lustrous, highly versatile beauties are one of the few gemstones which appeal to all generations. Most brides are interested in achieving a highly sophisticated look which oozes understated glamour and this is easily achievable with pearl jewellery. If you are opting for a traditional dress with a fitted and bodice with a flowing, ball gown-esque skirt then a classic pearl necklace is the perfect option to create harmony throughout your look and pull everything together. Choose a bridal pearl necklace from Winterson made with the finest cultured saltwater Akoya pearls for a look that exudes luxury, glamour and ultimately sophistication. These pearls, traditionally cultured in Japan, should be round, with a sharp lustre and pinky white colour. Sitting just below the collarbone, the length of this necklace will bring the focus to your face whilst creating a demure and ethereal aura around you. If you have decided on a more modern, slinky and ‘bodycon’ dress, then I would suggest a simple pearl pendant. A luxurious white South Sea pearl and diamond pendant necklace will perfectly balance out your wedding look but will not detract from the dress. With a silky lustre which radiates beauty, there is little wonder why pearls are the wedding jewel of choice. This exquisite piece (featured below) also features a dazzling diamond set above the pearl to add to the luxury of this pendant. This piece will not only see through your wedding day in style, but will also become a firm favourite in your jewellery wardrobe. For the romantic, slightly quirky, bohemian bride, choose freshwater coin pearls. These type of pearls have a distinctive, slightly irregular and jaunty, baroque shape. Each pearl is unique thus creating a carefree, laidback look rather than a more traditional, polished style. If this is the look you are trying to pull off then this White Freshwater Coin Pearl Bracelet would look stunning on the wrist of any lace-clad, billowy-sleeved bride. 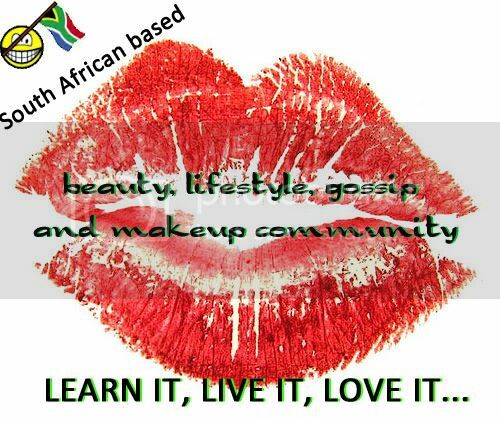 Author Bio: Rebecca is a lover of the finer things in life and frequently writes about her musings and findings. All images are courtesy of Winterson. The thought of choosing a gift that will be loved for a lifetime can be as much of a pleasure as receiving the gift itself. Pearls are, without doubt, amongst the most luxurious, elegant and enviable forms of jewellery and if there is a loved one that you would enjoy indulging in 2013, there are plenty of beautiful pearl gifts to do just that. When buying pearl gifts, it can be important to do a little research and try to find out the sort of style and look that might suit your intended recipient but, such is the timeless charm and appeal of pearls, it is difficult to go wrong and most women will love your choice whether you opt for Tahitian, South Sea, Freshwater or Akoya pearl jewellery. For the lovers of the finer things in life, the delicate colours of this breathtakingly stylish multi-coloured Freshwater pearl bracelet are easy to fall in love with. Fabulous to wear with many outfits, this freshwater pearl bracelet is a perfect pearl gift for 2013. And with Valentine’s Day being just a few weeks away in February, the natural colours of these pink pearls might hit just the right note. Pearl earrings are one of the classic pieces of jewellery, adaptable for almost any occasion, and they make a perfect gift for a loved one. If you are looking for a pair of white pearl earrings with a different design style to the pearl stud earring, you’ll be on the right track with these spectacularly elegant white drop Freshwater pearl earrings. For luxury pearl gifts a little out of the ordinary, the eye-catching beauty of pearl rings is as popular as ever. Fashionable rings with feature gemstones are also going to be one of the must-have fashion accessories of 2013. There can be few pieces of jewellery that are as sophisticated and beautiful as a pearl and any woman who receives one of these spectacular rings in 2013 will cherish it for a lifetime. Images have been used with permission of Winterson. 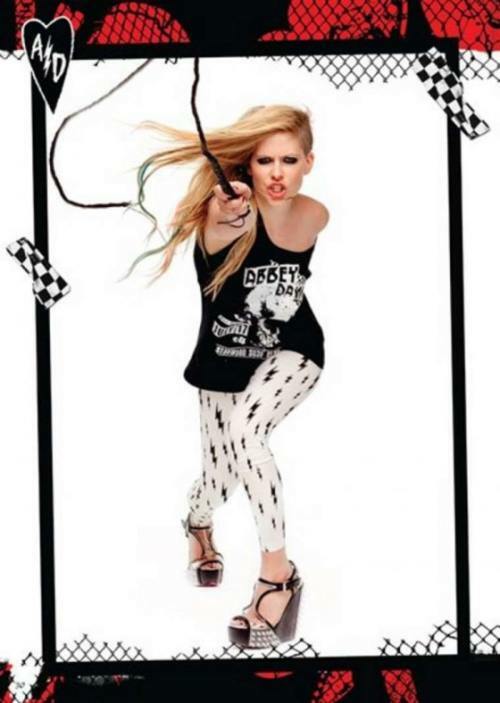 The interwebs has been flooded with loads of pictures of Avril Lavigne wearing her new line of clothing, ABBEY DAWN for 2012. I must say, I’m impressed by some of the clothing, its unique, and I do like some of it. The shoes are WOW. I want some of these shoes. As some of you may be aware, I used to love Avril Lavigne, and parts me deep down inside still do, when she is not doing silly things, ahem, green hair, yes, I received a bit of slack about saying that it was a blonde move in the past about that, but I’m sorry, GREEN hair does not make a statement if your hair is naturally blonde, it looks like you’ve been swimming in chlorinated pools and well, AHEM, shaving one side of head which is all very blantant in these new promo images… I don’t care if you don’t like that I don’t like it, but really, I think it makes her stunning hair (when its not green…) LOOK LIKE SHITE. …but try look past that, look at THE SHOES, and THE SKELETON DRESS. I want those. I do. hahaha. But anywayyy… Here are some images of Avril wearing her new collection.